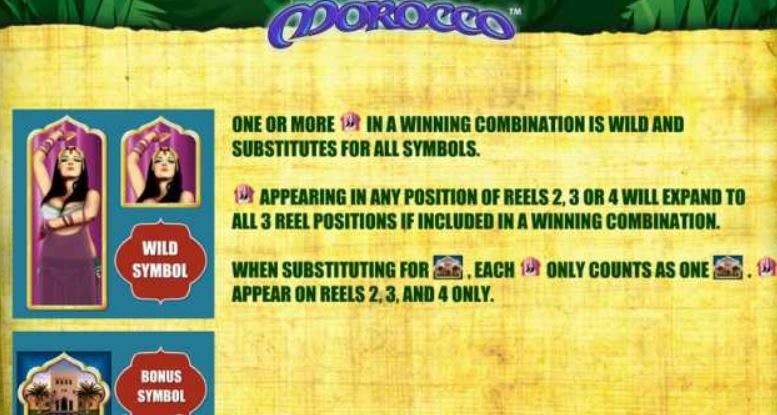 A desert theme is the background for Bally’s Morocco slot. 243-ways and the Belly Dancer is the star of the harem as an expanding Wild on reels 2, 3 and 4. 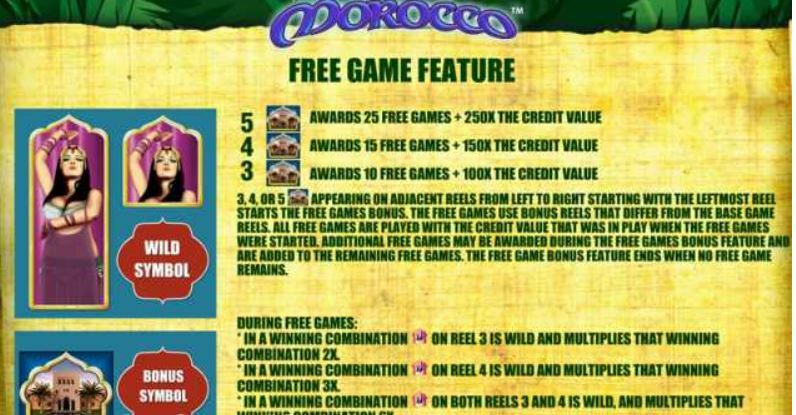 3 or more scatters will trigger 10-25 free spins in which the expanding Wild multiplies any wins, 2x if on reel 3, 3x if on reel 4 and 5x if on both simultaneously. 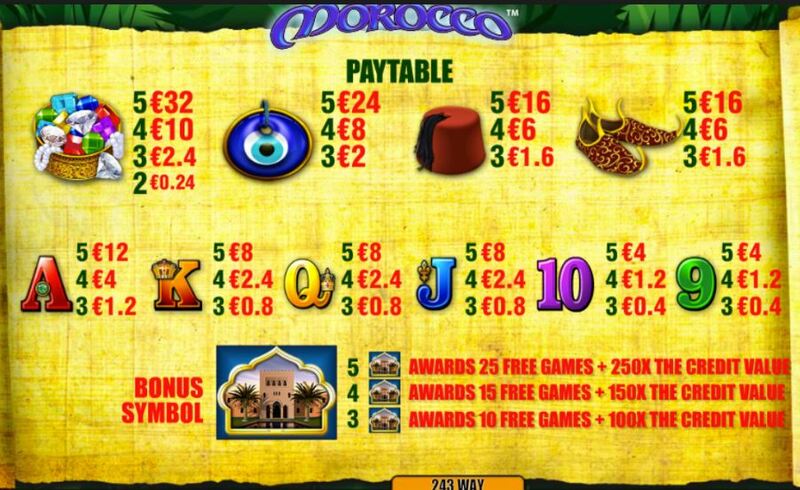 You can retrigger the free games too which is fortunate as the volatility is medium to high with a RTP of 94.89%. 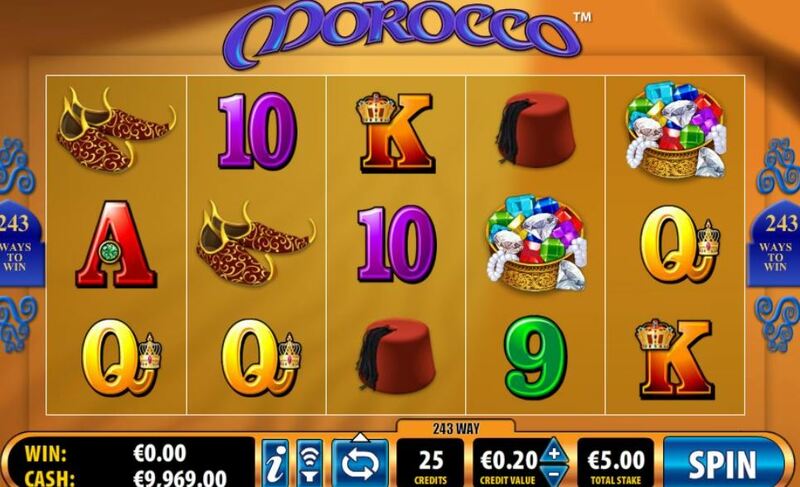 The game is a variant of Valkyrie Queen slot but with a few subtle differences.